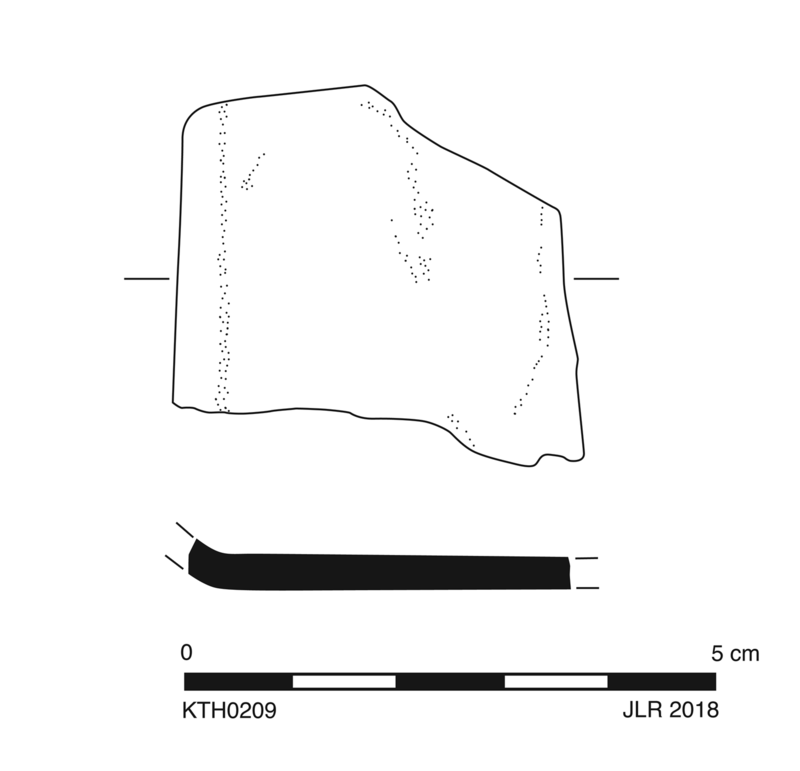 Thick, flat fragment apparently bending up to one slightly curved or beveled edge (though finished margin does not survive). Prominent striations on one side from production. 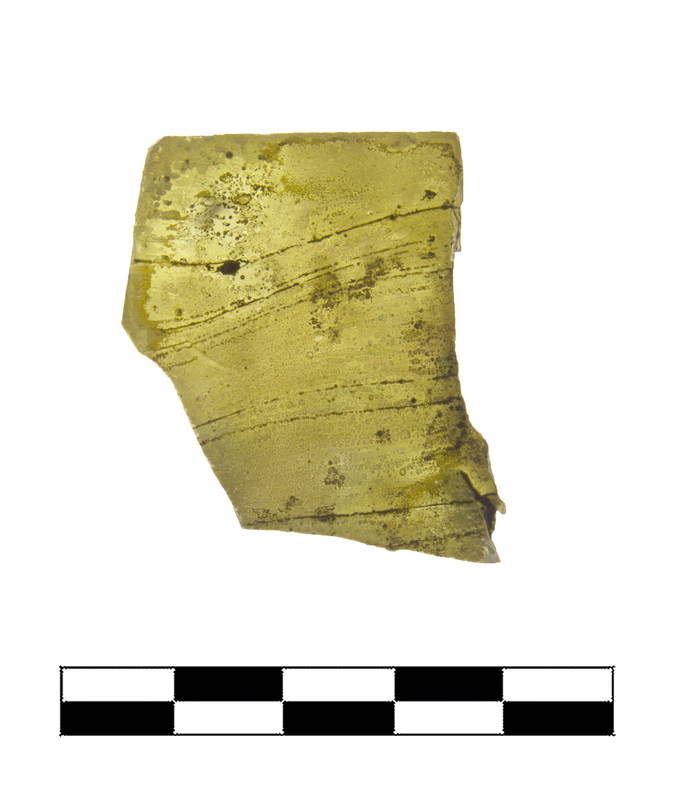 Yellow with a tinge of green (PMS 394C), semiopaque. Frequent pinprick and small to medium, spherical bubbles clustered sometimes in rows. One small fragment. Slight to moderate, extensive iridescence and pitting; slight feather cracking and patches of milky flaking.